Congratulations to the Student Council Associations (SCAs) at Western Branch Middle School (WBM) and Grassfield High School (GFH) who recently earned the National Gold Council of Excellence award. The National Student Council’s (NatStuCo) National Council of Excellence (NCOE) program distinguishes outstanding student councils at the middle and high school level that consistently provide quality leadership activities and service to their schools and communities. 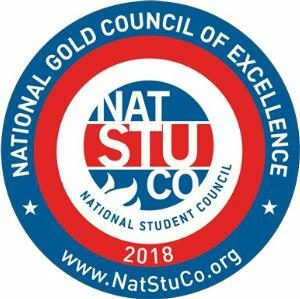 With two levels of recognition, the NCOE designation is awarded to those SCAs that have met all NatStuCo requirements, and the National Gold Council of Excellence award goes to those councils that demonstrate the highest levels of leadership and meet additional standards set by NatStuCo.